The Okinawa Spiny Rat (Tokudaia muenninki) is a species of concern belonging in the species group "mammals" and found in the following area(s): Japan. This species is also known by the following name(s): Muennink's Spiny Rat. Glenn, C. R. 2006. "Earth's Endangered Creatures - Okinawa Spiny Rat Facts" (Online). Accessed 4/21/2019 at http://earthsendangered.com/profile.asp?sp=4340&ID=3. Need more Okinawa Spiny Rat facts? The Tasmanian devil is endemic to Australia. Although this species is called tiger (named for its stripes) and wolf (due to its canid-like appearance), it is not a member of the cat or wolf family. It is a member of the marsupial family. Other members of this family include kangaroos and koala bears. 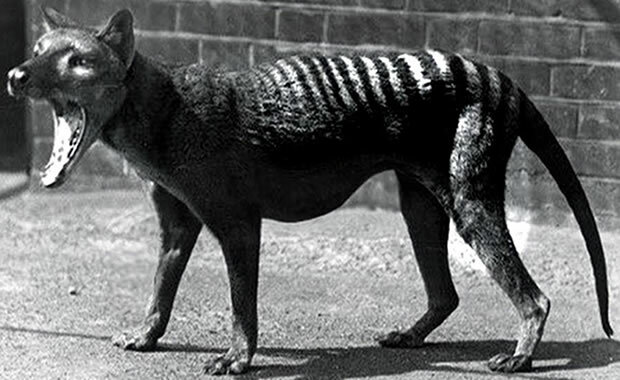 The last known Tasmanian tiger died in a zoo in Hobart, Tasmania in 1936, but there have been hundreds of unconfirmed sightings, and a reserve has been set up in Southwestern Tasmania in the hopes that possible surviving individuals can have adequate habitat.